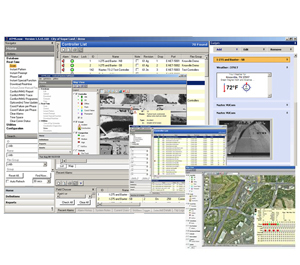 Trafficware by Naztec is a leading edge manufacturing and design firm of advanced traffic control hardware, including NEMA, 2070, and the all new ATC, ATMS central software, Cabinets and accessories. Naztec has earned a reputation in the industry for developing the most robust, feature-rich ATMS central software available today. Choose from either client / server based StreetWise, or the SQL server-based enterprise level ATMS.now systems. Both solutions offer GIS aerial system maps, complete ESRI Arcview capability and scalable integration with numerous field devices, which can be selected and controlled directly from the system maps. Naztec considered every single client’s request when building an ATMS.now platform that performs unlike any other ATMS available. Designed around easy to use Microsoft standards, ATMS.now offers complete traffic and data management including real-time reporting, integration with Crystal Reports™, XML data exchange, GIS interface and hundreds of other features. ATMS.now brings together all of your traffic network data into a single repository for a completely integrated, real-time, 360-degree view of your ATMS operation. Featuring high-performance parallel database technology, a full suite of data access and management tools, and robust data mining capabilities, Naztec’s ATMS.now delivers powerful performance and engineering tools. The StreetWise ATMS Central Control Software is one of the fastest-growing and mature central systems currently available. The software provides a flexible and modular package that will match the needs and requirements of most systems and allows for easy integration with web-based applications and enhanced communications between server and client workstations. Precision Traffic carries industry-standard NEMA TS1 / TS2, Model 2070, legacy Model 170 and the NEW ATC to fit every cabinet style. We offer training, intersection database timing translations, technical support, and on-site installation assistance with all controller systems. 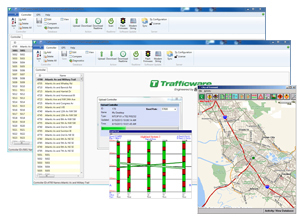 Naztec Local Intersection Software conforms to the latest Federal Highways (NTCIP) database standards. The Trafficware ATC is compliant with ATC Standard Version 5.2b and considers Draft ATC Standard Version 6.0. The controller is available in TS2 shelf-mount configurations and uses a processor rated at more than eight times the performance that is required by the ATC standard.. 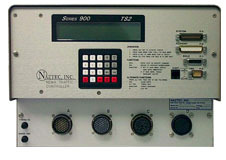 The Hybrid 980 ATC is design on the Series 900 Controller platform and is based on the both ATC and NEMA TS2 standards to includes advanced functionality for complex phasing, detector processing, coordination, preemption, communications, adaptive timing, and systems operation as a master or a secondary controller. Naztec NEMA traffic controller is designed using state of the art electronics for reliability, long life, and superb performance in all signal control applications. The advanced architecture and NTCIP compliance provide the traffic engineer with a flexible platform for the future. The controller meets and exceeds NEMA TS2 specifications, allowing simultaneous intersection control and including advanced functionality for complex phasing, detector processing, coordination, preemption, communications, adaptive timing, as well as full systems operation in a closed-loop, hybrid, or centralized configuration. The advanced LCD display and menu driven software provides a user-friendly approach to programming and access, and built-in diagnostics permit rapid evaluation of operational status. The use of Flash Memory allows software upgrades without PROM replacement. The Ethernet-enabled controller allows communication across a TCP/IP network. Naztec 2070 traffic controller is designed around the Advanced Transportation Controller (ATC) standard specification and the California DOT Transportation Electrical Equipment Specifications (TEES). This state of the art traffic controller is completely compatible with the Type 332 and 336 traffic cabinet currently utilizing CALTRANS Model 170E controllers. The 2070L can be loaded with factory-provided local or master traffic controller software, or is capable of operating using other available software code from multiple vendors. Naztec 970 Rack Mounted ITS Platform is the perfect way to upgrade an existing 170/179 Type controller network. Equipped with identically matched connectors and I/O configurations, this controller can retrofit 170/179 Type cabinet to immediately upgrade the system in just a few minutes. The Model970 incorporates the latest specifications, communicating to cabinet peripherals via a 15 pin SDLC port. Other hardware features include multiple RS-232 serial ports and 10/100 Ethernet, and Flash ROM Technology, exclusive to other Naztec high-performance machines. The Valence Pod Detection System™ is Trafficware’s answer to a smart and flexible detection system. By using a wireless magnetic sensor embedded in the road, the system will accurately measure vehicle occupancy and detection. Powered by an industry-leading D-cell lithium battery, the Pod will transmit real-time data autonomously for up to 10 years, providing a solution to a broad range of transportation needs. The Valence Pod System is simple to install and easy to use, with three primary components: the Pod, Access Point & Antennas, and Base Station. Precision Traffic carries traffic control accessories for all NEMA TS1 / TS2 and CalTran cabinet specifications to fit every application. If there is something you don’t see give us a call, we can get it. 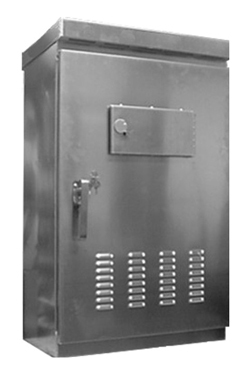 Trafficware/Naztec brand controller cabinet assemblies are built-to-order in steel, natural/anodized aluminum, or custom paint finishes. Comprehensive testing and on-site turn on assistance assure a smooth, hassle-free field installation. Complete the controller and cabinet solution with a full compliment of cabinet accessories for NEMA TS1 / TS2 and CalTran standard plug-in’s. Naztec Bus Interface Unit (BIU) links the TS2 Controller Unit to the Cabinet I/O. It is responsible for controlling load switches, providing dimming, receiving and isolating pedestrian calls, analyzing detector faults, time-stamping detector calls, and providing detector resets. By design, the BIU is free of operator controls. The BIU performs its I/O functions based upon a pre-wired card rack address. Naztec conflict monitors utilize enhanced monitoring functions that increase cabinet fault coverage, providing additional assurance that cabinet equipment malfunctions will be detected and diagnosed properly. 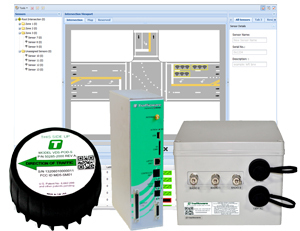 Precision Traffic offers a variety of standard and LCD Malfunction Management Units that are capable of monitoring up to 16 traffic signal indications for conflict, improper sequencing, incorrect timing, and improper signal voltage levels. They are fully compliant with NEMA Standards and many are capable of operating in older TS1 type cabinets. Naztec Inductive Loop Detector uses state of the art technology to provide a robust and reliable rack mounted vehicle detection device. Automatic self-tuning and fifteen selectable sensitivity levels ensure trouble-free operation. Their easy-to-understand front panels make them some of the most user friendly detectors on the market today. Naztec shelf-mount Inductive Loop Detector uses state of the art technology to provide a robust and reliable stand-alone vehicle detection device. Automatic self-tuning and twelve selectable sensitivity levels ensure trouble-free operation. Naztec Traffic Signals are designed to meet the most demanding requirements. The housing is a one-piece die-cast, completely weatherproof component with a hinged door constructed of the same material. Wing-nuts provide tool-free maintenance and the quality hardware is built to last for years. Each lamp is contained in its own singular housing so that any combination of balls, arrows, or colors can be achieved without ever removing any of the hardware. The housing will also accept standard LED lamps. An assortment of visors may be attached to meet every application. Naztec Pedestrian Signal Heads are designed to meet the most demanding requirements. The housing is a one-piece die-cast, completely weatherproof component. Wing-nuts provide tool-free maintenance and the quality hardware is built to last for years. Both lamps are contained in the double parabolic reflector.